Chico, a gentleman's motor yacht, was built in 1932 at St. Monans, Fife. A Dunkirk Little Ship, and registered as a National Historic Ship, she is now available for charter on the West Coast of Scotland. There are three double cabins for up to six guests, with separate crew accommodation. Day trips for up to eight people can be booked by arrangement. Please visit our website for more details. We haven't been very diligent at posting on the blog, but here is a selection of photos from last summer. Sharing a peaceful anchorage with Kentra, another 1930's yacht. West Highland Yachting Week committee. Say no more! The unmistakeable profile of Rum, from Eigg. The Victorian splendour of Kinloch Castle on Rum. Approaching the dramatic anchorage of Loch Scavaig on the south coast of Skye. Sandaig, where Gavin Maxwell lived with the otters made famous in A Ring of Bright Water. and a poignant memorial to a remarkable man. Saying goodbye at the end of another cruise. and just messing about on the beach. Coming back up the Kilbrannan Sound from Campbeltown. It is a bit of a wind tunnel and can be quite choppy, but this not day in September. Literally flat calm with sun shining through hazy mist. 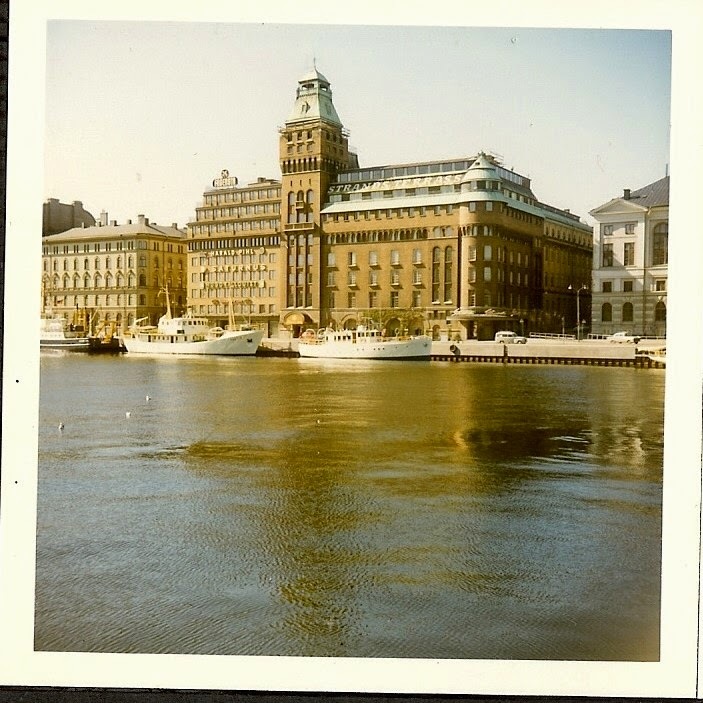 A former crewman on Chico got in touch and kindly emailed some photos of Chico visiting the Baltic in 1971. 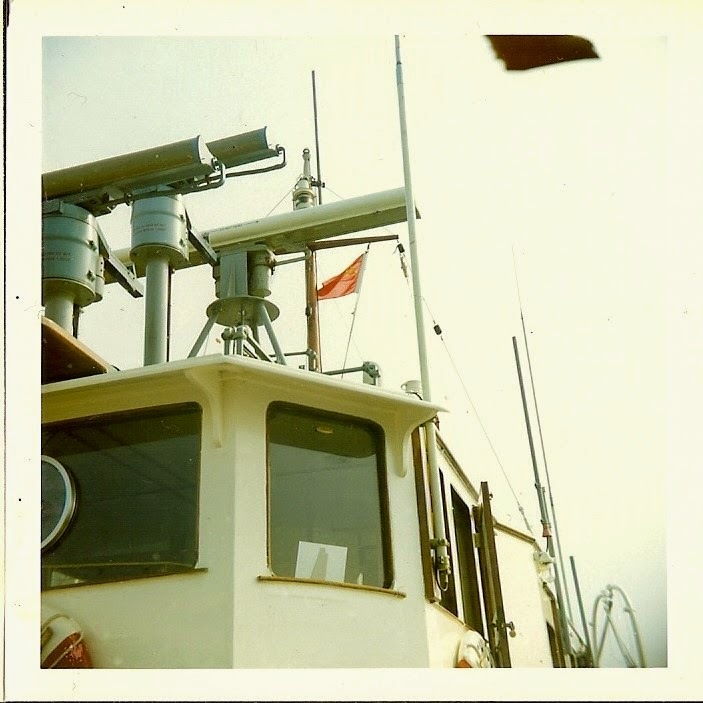 She was leased at that time to Marconi Marine as a demonstration vessel for their marine products. Leaving from Tower pier in London at the end of May, she transited the Kiel Canal and visited 12 Baltic ports including Stockholm, Helsinki and Leningrad, returning to the UK at the end of July. 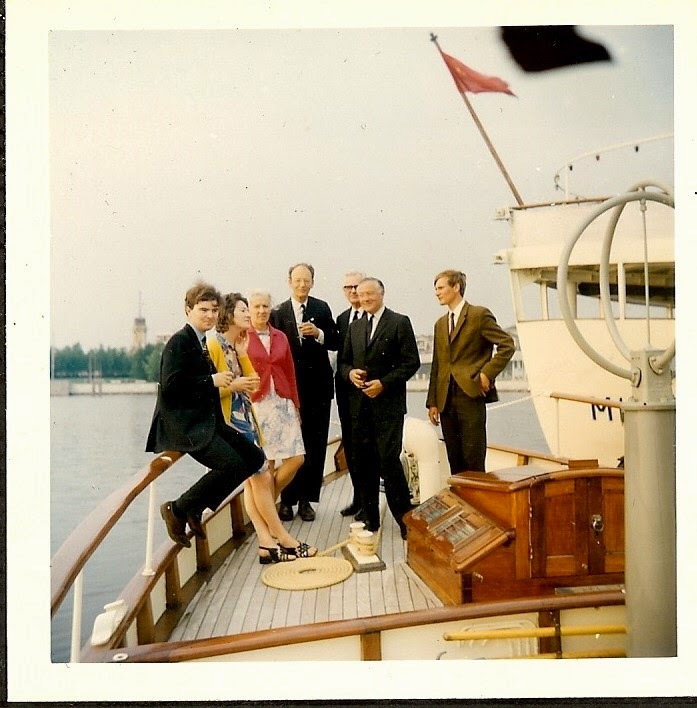 Receiving the British ambassador to the USSR (2nd from right) on board, Leningrad. A formidable selection of Marconi radars on the coachroof. The Hammer and Sickle courtesy flag is flying, so probably Leningrad again. The internet and Chico's website have enabled several former crew to get in touch, and we're looking forward to meeting up with a former owner next month for a day out from Oban. Chico, a gentleman's motor yacht, was built in 1932 at St. Monans, Fife. A Dunkirk Little Ship, and registered as a National Historic Ship, she is now available for charter on the West Coast of Scotland. There are three double cabins for up to six guests, with separate crew accommodation. Day trips for up to eight people can be booked by arrangement. © Motor Yacht Chico. Simple theme. Powered by Blogger.